Harness your ninja skills with this 4 Point Throwing Star! This detailed, full size throwing star is crafted with flexible and durable rubber material. 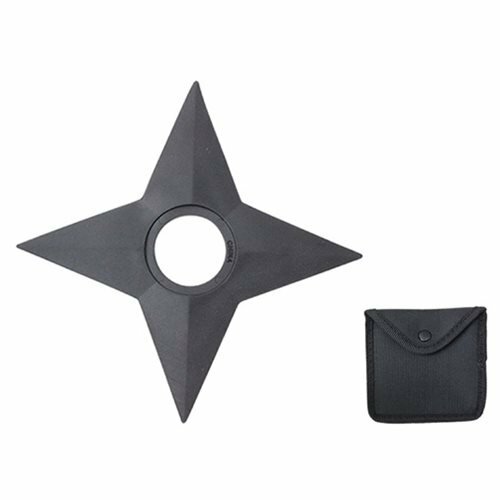 This 4 Point Rubber Throwing Star comes with a heavy duty black nylon pouch that can strap onto a belt or costume. Star measures about 5-inches tall. Ages 13 and up.